What is meant by the term Pain Management? The term pain management is used to describe the ways in which long term or chronic pain can be alleviated allowing sufferers to regain a measure of independence, gain relief from pain and improve mobility. What is the definition of Long Term or Chronic Pain? Medicine defines pain as one of two types. Long Term or Chronic Pain is defined as being pain which has lasted for three months or more. What Causes Long Term Pain? The causes of long term pain are varied. In some cases long term pain is due to a pre-existing medical condition such as arthritis. Alternatively, long term pain can be caused by a condition which medical science does not yet fully understand such as back pain. 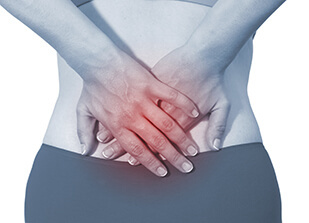 In some cases long-term pain is caused by a malfunction in the body’s pain system. Depending upon the diagnosis, a number of different osteopathic techniques and treatments may be used. These may include massage of muscles and connective tissues to reduce inflammation, gentle manipulation of joints and stretches. These treatments are designed to reduce muscle spasms, ease swelling and increase joint flexibility. Having been in pain for years I was diagonsed with osteoarthritis in my hip and advised I would need a hip replacement which would be delayed as long as possible as I am only 38. I was horrified at the prospect of waiting as I was in so much pain. Thanks to Helen the pain is almost gone, her treatment now allowed me to return to the gym and exercise and my life is almost back to normal. Long may this last!! 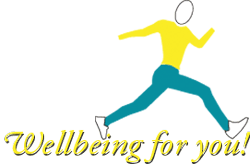 For more information on Pain Management and Osteopathy or to arrange an appointment with Edinburgh osteopath Helen How, contact The How Osteopathic Clinic Edinburgh by email or telephone 0131 551 1044.